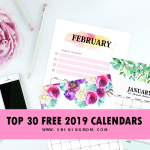 Today, I thought I’d share some basic monthly budget worksheet templates that will help you take control of your finances. It’s really about time to get a handle on your spending. Do you agree? 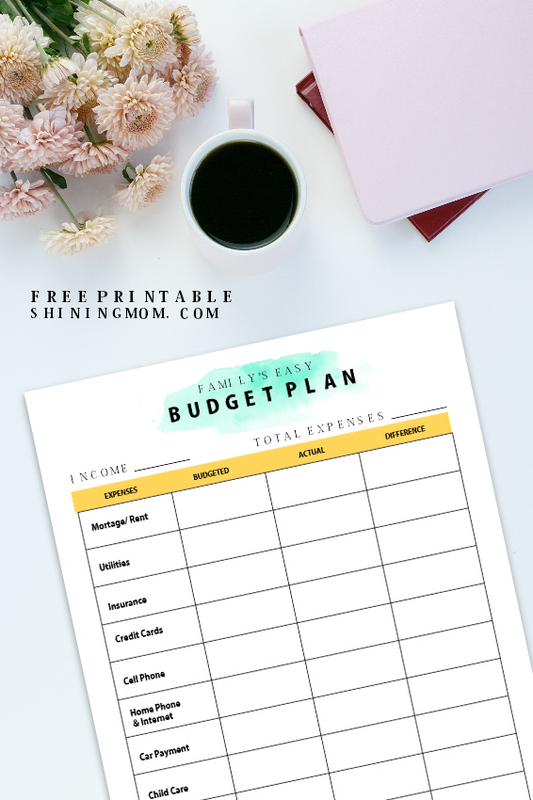 So if you don’t have a budget plan yet, here are some free printable budgeting worksheets designed to inspire you immensely to draw your attention to your monthly spending habits. Do you always go overboard? 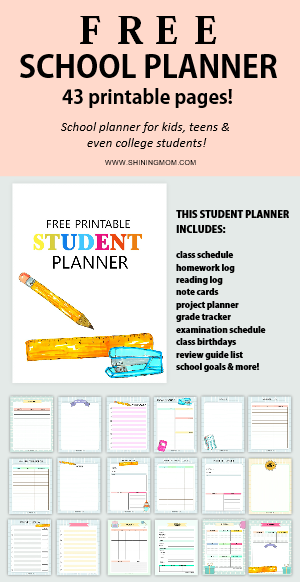 It’s time to track and monitor your finances and be financially abundant and disciplined! Hello, friends! Welcome to Shining Mom. 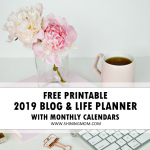 You are right here in the most popular segment on the blog, the Happy Freebie Monday, where I get to share planners and organizers on a weekly basis– released on Mondays, of course. For today, let’s talk about budgeting. 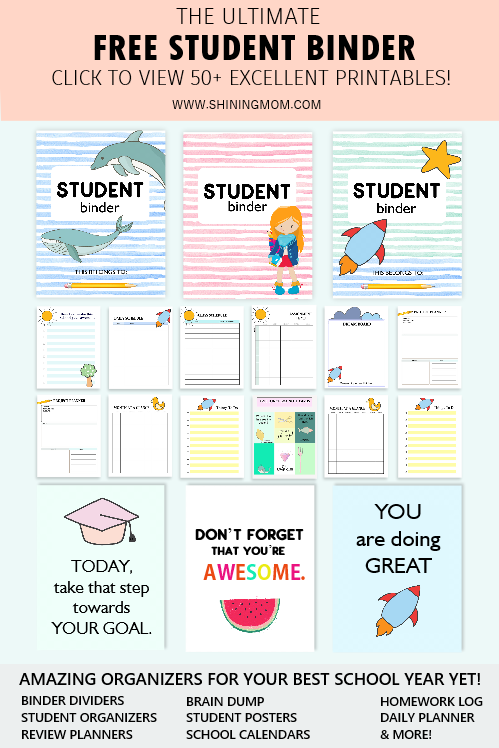 Let’s admit it, creating one, especially if you’re doing it for the first time, can be pretty overwhelming! Just the two of us, on our first year of marriage, back when I was still an employee, we had so little that I had to handle our finances wisely and strictly. Yup, we had to be tight when it comes to our spending, otherwise, we will not have enough until the next paycheck arrives. Being a regular employee with a very meager earning and with a family to raise is a very challenging thing to do in a third world country. You just have enough for your utilities, food, transportation and childcare every day. You can’t afford to overspend on anything, you have to be smart and disciplined with your monthly budget allotment. 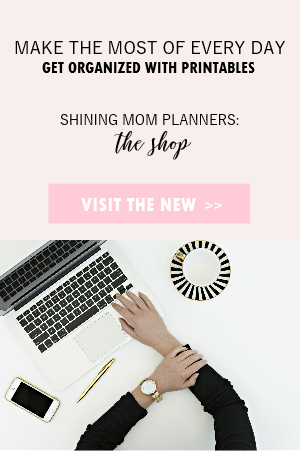 Well, I guess how we started has taught me a lot in handling our finances these days and how my husband and I decided to both pursue further actions to step up in that situation. 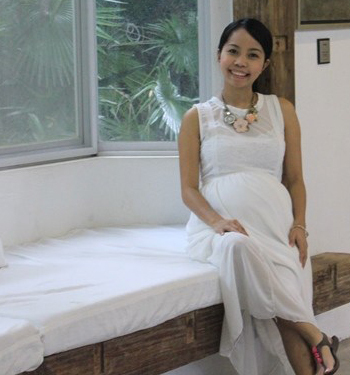 In order to live comfortably, we agreed to set a monthly budget and find more ways to earn more. 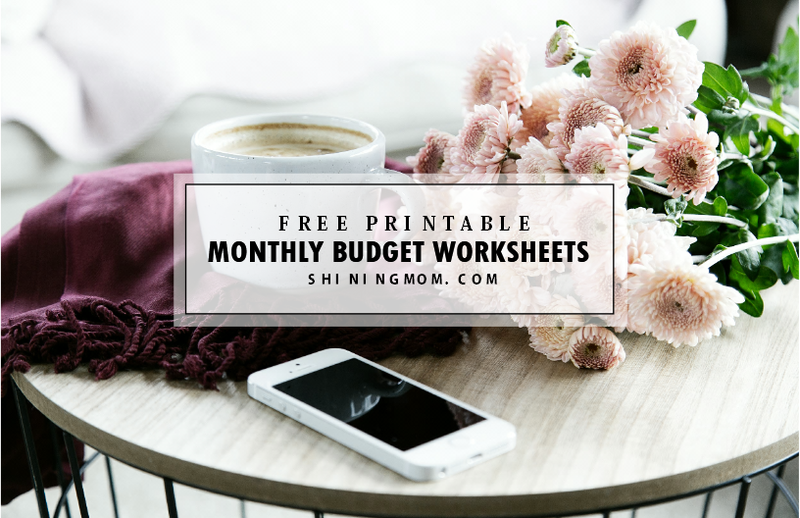 This is probably the reason why you will see tons of printable organizers that tackle budgeting on the blog, like these free monthly budget worksheet printables that I am again releasing today. As I work on our family budget, I dream to inspire families to have full control of their finances, too. I dream for families to cut off their necessary spending and pay-off their debts. I dream of seeing every family be financially free! Let’s flex some financial muscles together to be financially fit. Are you ready? Let’s go! They say that building a monthly budget is linked to creating wealth. I can’t agree more. For me, going through the month without a budget is like shooting in the dark, not knowing where your darts will go and if you still have anything left in your quiver by the time you need to strike another shot again. Having a budget is like carrying a lighted map that will lead you towards the direction of the financial situation you’d like to be in. It serves as your guide to financial wellness. 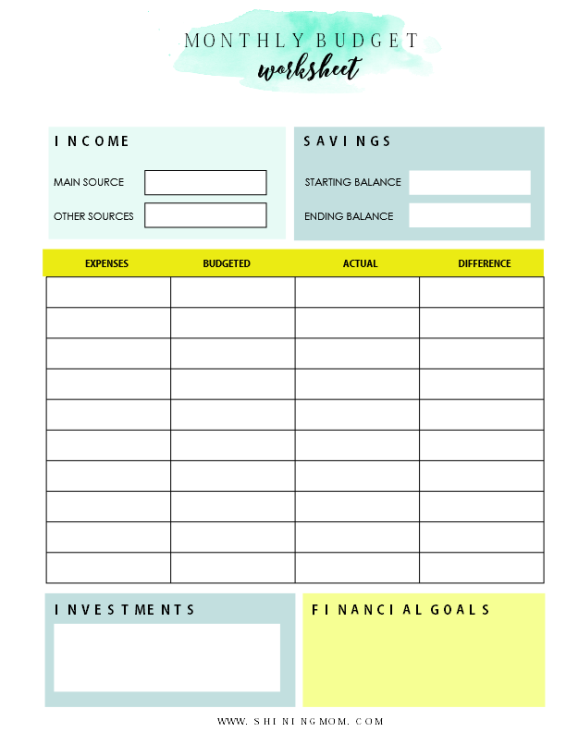 This is why, today, I thought of finally sharing a basic monthly budget worksheet templates that you can use outright. I pray that they will bless you immensely! Let’s view some of the pages I included! 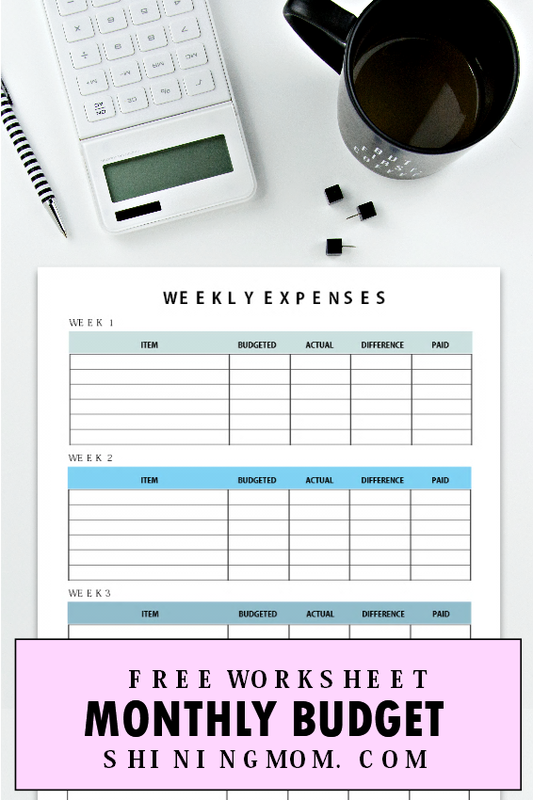 This monthly budget worksheet lets you budget your finances every week. 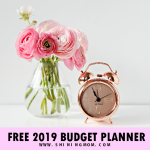 Here you can write your budget allotment for your major spending such as your weekly budget for food, gasoline, child care, etc. 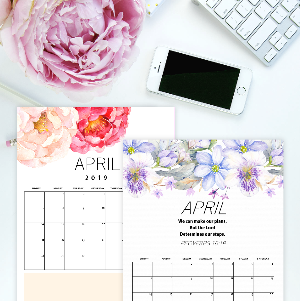 Determining your recurring monthly expenses and allotting a budget per category is a sure effective way to keep track of your finances. 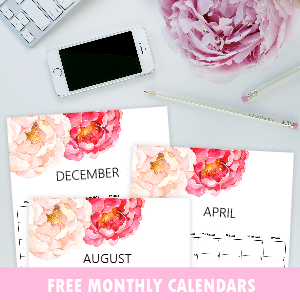 While the preview below already has the categories filled in, there is also a blank monthly budget worksheet in your download because I understand we each spend differently. 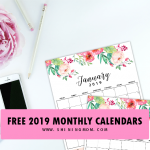 To give you a quick preview of your monthly budget, I’ve created a monthly budget at a glance page which carries all the necessary budgeting information you need. But wait! 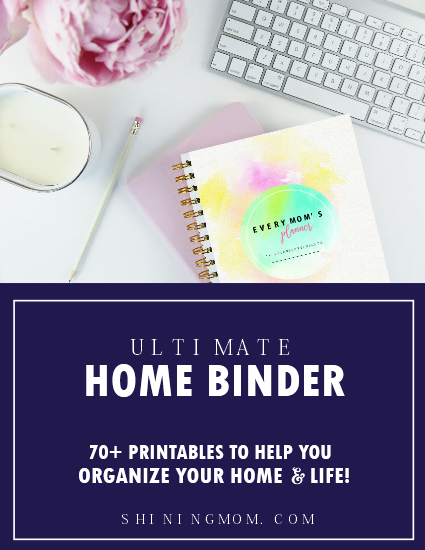 This is not the last page you’ll be getting in the binder as there are six monthly budgeting templates all in all which you can print for FREE! 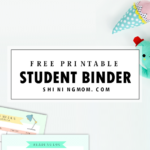 Don’t forget to pin this post on Pinterest so you can always get back to snag your free monthly budget worksheets! And oh, do you have a solid monthly budgeting tip? Share what has or hasn’t worked for you when it comes to budgeting your finances in the comments. Have a great day ahead, friends! « Join SM Kid City’s Grandest Party Ever! I would like to use these forms!